You guys. Molly and Johnny's wedding was seriously INCREDIBLE. The venue, the colors, their love, everything!! It was completely amazing. 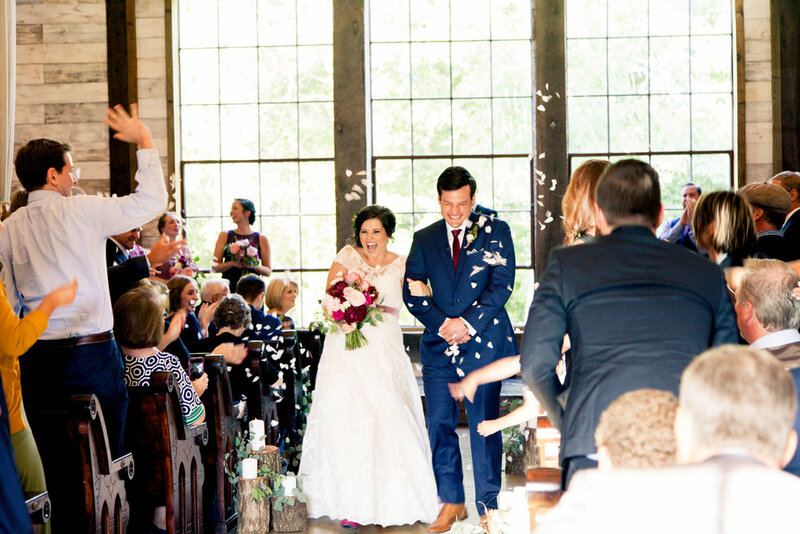 They got married at Big Sky Barn in Montgomery, Texas. They have this beautiful wooden bridge that they're known for (see images below), and when we were taking portraits the sun was just beginning to set. Hello perfect lighting!! Their reception area included a candy bar, SEVEN CAKES (and four vegan cupcakes), and lavish decorations that fit perfectly with their nature theme. I had a blast photographing this wedding with Nico Nordstrom!